Sambacouver is coming, and you’re going to dance! Under the bright summer sun! Join Vancouver’s liveliest Brazilian music band for an afternoon of beach rhythms at our 2018 Vancouver celebration. 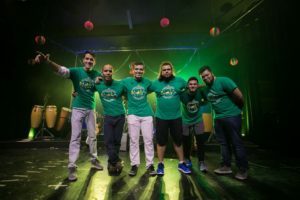 Playing tunes that range from all Brazilian music genres to international hits with a Brazilian twist, this exciting big band uses a variety of percussion instruments to deliver extremely engaging and interactive performances. The band has been together since the 2014 FIFA world cup, and has only played sold out venues since then, including The Pint Gastown, All Star Wings and Ribs, Cabana & Studio Records. 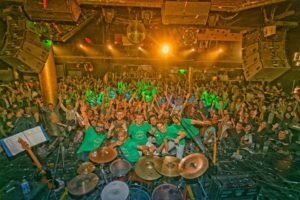 Through the summer, the band occasionally does rehearsals at Third Beach to test new material, engage new crowds and showcase the amazing atmosphere that they create during their concerts. All band members come from different musical and cultural backgrounds, which really set this band and its performances apart from any other local band. If you want to have a taste of what the Brazilian Carnival really feels like, come enjoy Sambacouver!